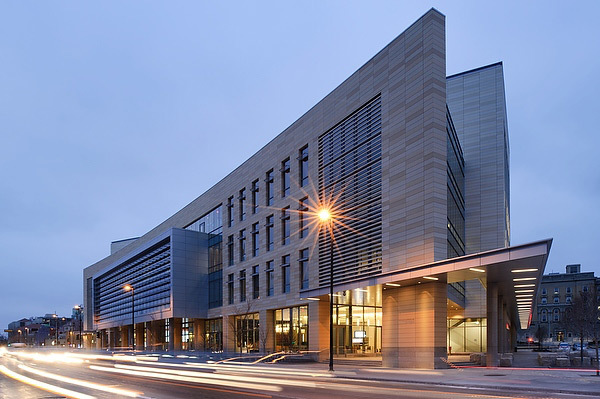 A Research Center under the Office of the Vice Chancellor for Research and Graduate Education, WID is located in the award-winning Discovery Building along with its partners the private, non-profit Morgridge Institute for Research and the Wisconsin Alumni Research Foundation (WARF). This public-private partnership conducts research, engages with the community and celebrates science. With the financial support of the state of Wisconsin, UW alumni John and Tashia Morgridge, and WARF, the Building opened its doors in December 2010. 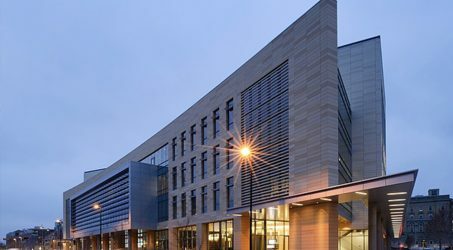 In 2012, R&D Magazine awarded the Discovery Building “Lab of the Year” for the facility’s public-friendly space, unique features for research and commitment to sustainability. Read more about the Building, located at 330 North Orchard St. (map). The Discovery Building hours: Monday-Friday 7 a.m. to 10 p.m., Saturday 9 a.m. to 10 p.m.
Visit or tour the Town Center, the first floor of the Building.